The numbering head 400 is a security-pin locked numbering head designed for the use in marking presses. 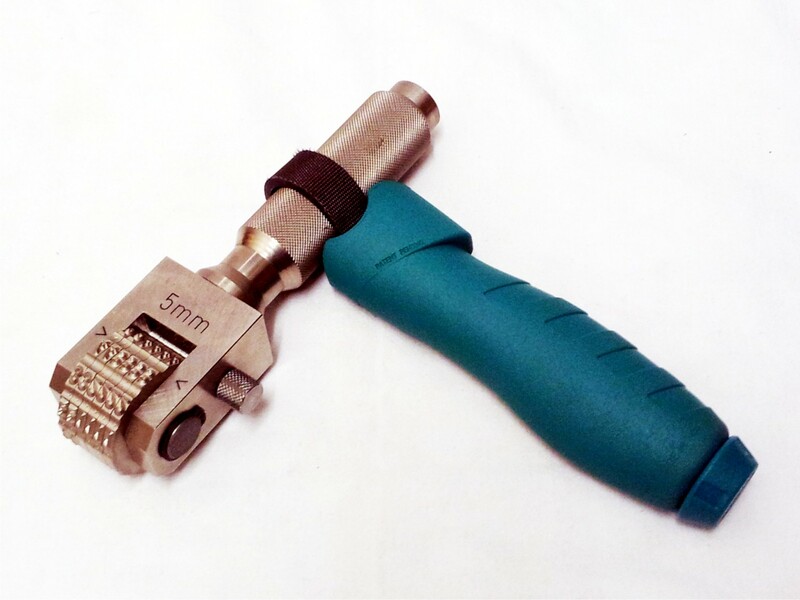 It is very suitable for marking all metals, many plastics, etc. In a special edition, this marking head is also available with a hand shank for hand/hammer use. Best for random changing inscriptions by quickly and simply turning the wheel, no tools are required. The marking wheels can be rotated to any given position, a complete inscription can be changed in seconds. Tell-tale characters in the wheel grooves show the actual characters in the marking position, which is particularly helpful when being used in a machine. The security pin does not only fasten the wheels in position, but also transmits the compressive load in the body of the tool directly to the point of impact, which is an additional advantage of this marking tool. The standard wheels have sharp faced characters (0-9) with one blank station. Special wheels can be supplied to mark logos, symbols and letters. Character forms can be sharp faced, flat faced, ministress or dot stress. The marking head can be supplied in various character sizes from 2.0 to 15.0 mm. 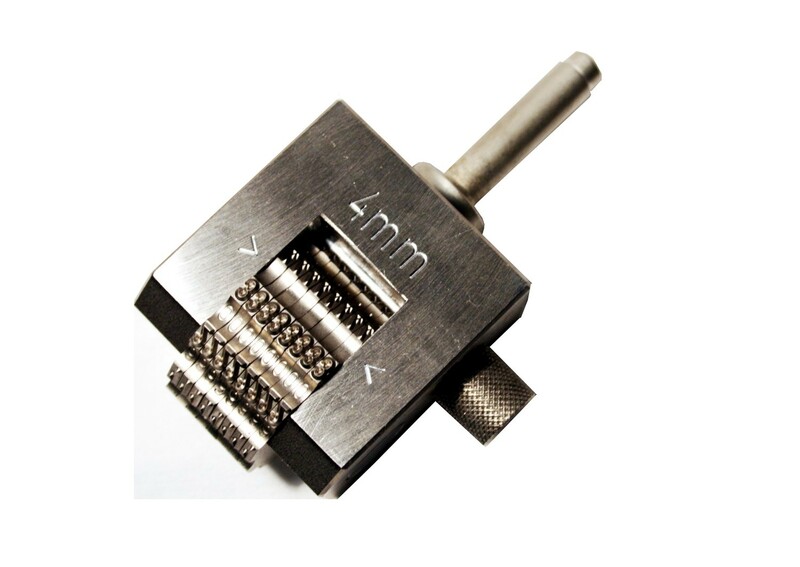 This marking head can be equipped with any shank size or with a hand grip for manual marking. Price: For prices to our articles please use our contact form or send us an email to info@margreiter-technik.com. Our sales team will advise you gladly.